The distance was travelled and a time of rest came upon us, but now that time is over. The heart beats on and the road to salvation still twists and turns, from the rest be become stronger, spirits re-energized, lungs breathe the chill of new air as we head into the chaos ahead, Fully Charged. The WFWF World title is on the line as Johnny ‘The Movie Man’ Michaels faces his toughest challenge to date. 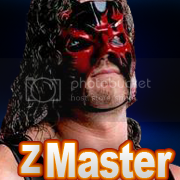 In one corner stands his old enemy Master Of Destruction who looks to finally get one over Michaels and take the WFWF title from him. Across from MOD stare the cold eyes of Drakz who’s out for revenge following the result of the Cell Of Sin and is the man who loured MOD into breaking his ‘no more risks’ pledge by making this match stipulation. Then the final corner sees Michaels friend Ray Smith facing off against him for the first time as Smith also has his fists filled with anger and hate toward the man who cut the scars into his face, Drakz. These four men meet for the World title in the first ever Voltage match, a Voltage match is a steel cage with an electric current running through it. The match has a time limit of 60 minutes, at the start of the match the cage will be at 10 volts. After 10 minutes the voltage will rise to 20 volts and will continue to go up by 10 volts every 10 minutes, therefore when the timer hits 50 minutes the cage will be at it’s maximum of 60 volts. Also, every time the timer reaches a 10 minute point the power shuts off for one minute before sending through the increased amount of volts, the only way in and out of the cage is through a cage door but the only way to win is to pin one of the other three men inside the ring. In this electrifying match up which superstar will spam champion, who’s stamina will remain fully charged as the other three men become drained? Now 2 time International Champion Saku is set to face off against Josh in Part 4 of this epic feud. They have been rivals for some time and both particpated at Superbrawl 3 which Josh has won. Since that time, both have taken different directions. Saku defeated Drakz to win his 1st International Title while Josh was National Champion before losing it to Macabre. Now Josh has his eyes on the International Title and Saku is looking to still keep it. Can Josh obtain this title or will Saku retain the title? The WFWF National Title is on the line in a triple threat match that sees the current champion Dr Macabre face off against two former friends and rising stars in the WFWF, Chris Avalon and Ganador. This match came about as Macabre looked to put an end to Ganador and Avalon simply because he felt life dealt them an unfair hand over him. Since then Macabre played mind games tricking Avalon and Ganador into fighting each other rather then him just to get a chance at the National title. Now as Fully Charged comes around Macabre says he is set to pik the bones the two have left over from their fights and come out of Fully Charged still the champion, however, will the rising stars prove they have what it takes? Can Ganador or Avalon find the strength to topple the monster Macabre whilst still being able to keep each other at bay? When these three men hit the ring it is set to be a match worth remembering. 4 teams, one goal to be the WFWF Tag Team Champions. The Holocaust have seemed to be unstoppable since becoming the tag team champions. They got shocked in a non-title match against The Playboys. They are out to prove that when the belts are on the line, they can't be stopped. For the Playboys, it's showing that lightning can strike twice. With ATM in the mix, they vow to become tag team champions and haven't forgotten about it. For the Masters of Executions, it's real simple to make history. Anything goes in this match, who will spam the tag team champions? Stay tuned for Fully Charged. Five of the WFWF’s most popular divas of all time return to try and take back the women’s division from the new divas in town. The match will be a five on five tag match where competitors are eliminated one at a time until either one team is completely gone or the match becomes a one on one. Once the match is a one on one the women’s title will be on the line, but if one team is triumphant before they are down to one those remaining ladies will go into a multi way match up right after to decide the women’s champion. Can Randi retain her belt? Can the returning five daughters of the WFWF so the new girls the ropes or are they really old news? Two of the WFWF’s young talents meet one on one for the Young Gun title. The current champion JUBA has recently been unhappy with the lack of a challenge but when he made this publicly known Yukio Blaze stepped up to the plate and made a challenge for the title. Since then the two have been at each others throats with JUBA even breaking into the former Unknown Factor leaders home, so at Fully Charged the two will meet in the ring where JUBA will show Blaze is no challenge or Blaze will get his hands on his first WFWF title. This one of a kind tournament went far from planned with many competitors dropping out before they were eliminated. One of these men was the finalist Revereand Shadow, but the WFWF booking team has found a replacement to a person who was eliminated earlier in the contest, this person remains unknown until they decide to announce themselves but in this mystery one thing is certain, they will me the Man Of The Hour Josh one on one and the leader of the next generation of legends will be named. WFWF hall of famer versus a former WFWF World champion. This feud began in 2004 and now only sees it’s conclusion as Stuart steps in the ring with Justa Mazing for the first ever triple KO match. The rules are simple, to win the competitors have to knock the other out three times. Each time one person is KO’d they will be brought back around and given a three minutes rest before continuing, the first to three wins. This will see the end of the injuries, verbal abuse, jealousy and hate between the two that first spawned over the WFWF World title a year ago. What else is there to say. Both men are former WFWF Champions and both are in the WFWF Hall of Fame. The last time they fought it was Ascension where Raider successfully defended the WFWF Title against long-time rival Destroyer. With a match of this magnitude, if history has taught us anything when matched up, they put on a performance like no other. Raider is set to return to WFWF action and looking to once again defeat Destroyer. Can he succeed or will Destroyer be able to defeat Raider? Former friends now enemies. After losing the WFWF Tag Team Titles, Percy had shocked the world by betraying his one time best friend Obo. Since then, Percy has looked to get himself some singles gold as is Obo. The question is which one will be forced to say the 2 words nobody likes to say "I Quit." Will Obo gain some redemption or will Percy prove that to him he was the better member of Los Hobos? In one of the stranger feuds of this year the WFWF new comer Okana faces off with ‘The One’ Jaysin in order to win back his right to face the other men on the roster. Due to Jaysin feeling uncomfortable with Okana’s life style he managed to talk the WFWF management into putting a ban on Okana fighting the men, but since then Okana got legal advice and has now had it set so that the ban will be lifted if he can beat Jaysin live on pay per view at Fully Charged. The annual four way no rules match had to be drawn following the departures of Wayne McGurk and Thunder so now new comers Ryan Nasty and Leviathan get their chance to jump some steps in the WFWF ladder by showing just how crazy and risk taking they can be as they take on two other WFWF stars looking for a chance to sign, Joe Kessen and Shane O’Riley. For some time, Justin Tyger has been on a rant about losing to Black Ninja. When they fought before, it was Ninja himself who beat Justin Tyger. Since that time, Justin Tyger has sought revenge and looking to avenge his loss to him. Can Black Ninja beat him again or will Justin Tyger have the last laugh. In a non-televised match new signing Insane NJ will be handed his depute against the angered latino star Sanchez. New post and sticky to clear up confusion. That’s it, we’ve done the best job we can to rescue the PPV, the card is still very strong and if everyone RP’s it should be good. If your not on we have some dark match spots free but sorry to some who we didn’t have time to build a feud for. To put rest to all the ‘when is the cut off’ questions, it’s a week today, Monday the 13th of Febuary, so you have a whole week to RP. Good luck everyone, if you’ve already RP’d do us a favor and post the links to them in here, have fun with the show, we’ll try to make it as good as we can now get RP’ing. OMFG. WOMEN'S CHAMPIONSHIP MATCH IS GOD. Wow. Seriously, that match brought a smile to my face. Wow. Looks like a great card. Poor Joshy boy has to pull double duty. So erm, which board will this be on, exactly? If anybody here had a clue, they wouldn't be here in the first place. I tryed to tell people the women's division wasn't finished but no one would listern. It'll be on WF, with the past few weeks we've had we're just trying to power through this PPV and make it as good a show as possible before deciding the future. Well, I'm just going to mention that grammar mistake in tryed. Drop the y and add an i. I won't make the usual big deal I do over a grammar mistake, as you did a good job with the Women's Championship match. Just watch out. I just wanted to apologize for having this whole mess rescheduled and such. I promise to give you a challenge and really work you over this week just like only I can. Kisses sweetie. It'd be nice if I didn't look like a last minute addition in the International title match.. I got history with Josh.. and Saku.. I'm a former International champ.. I've beat both.. Welcome back. Haven't seen you here in a while. BTW- Why are people putting there roleplay links here? ^So that way FLAPS and Smith can find the rps without having to dig for them.